Worm Castings: Why you need them in your soil! Earthworms are the powerhouse masters of the soil. As they burrow through the earth, they naturally aerate the soil as well as leave behind waste, also known as worm castings. Worm castings are an important natural fertilizer for your lawn and landscape. What exactly are worm castings? Well, to put it simply, worm castings are worm poop! Do you ever notice little piles of round soil-looking droppings on top of your lawn and garden beds? If so, consider yourself lucky! Those little “balls” are worm castings and they mean earthworms are at work in your soil. Worm castings contain a mix of bacteria, enzymes and plant matter. They also contain more than 50% more humus than you’d normally find in soil. When we mix worm castings into the soil, your plants benefit from concentrated forms of phosphorous, magnesium, potassium and calcium. Plus, your soil gets a boost of beneficial bacteria. When you add organic matter, such as compost, to your lawn or landscape, the nutrients it contains are not immediately available to your plants. The organic matter must be broken down by soil microbes before it releases nutrients in a form your plants can absorb. If your soil is void of bacterial activity, it will take a long time for that organic matter to break down. This is why we don’t treat compost like a “fertilizer”. Earthworm castings can not only help boost microbial activity in your soil, but provide some nutrients as well. 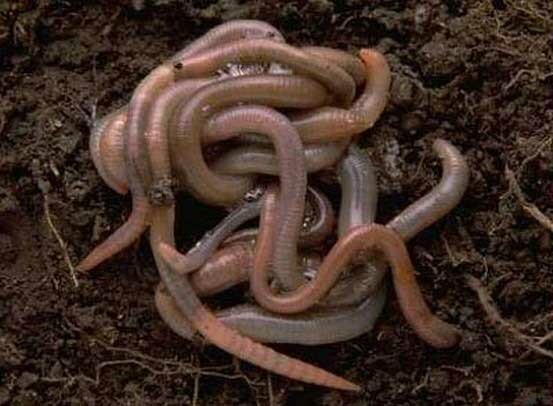 Worm castings are considered a slow-release fertilizer. The worms have already done the work of breaking down organic matter and releasing nutrients. What makes them a “slow-release” fertilizer? As organic matter passes through the worm, a bit of oil is deposited into it. This slows down the nutrient release in the castings to happen over a span of roughly two months. You can add earthworm castings to your lawn, your landscape beds, container plantings and your organic vegetable garden. In January and February, we apply liquid compost extract, humic acid and worm castings as a soil inoculant and conditioner. Your soil health, and your plants, will get a boost from the worm castings; they’ll stimulate plant growth and improve water retention in soil. Earthworm castings also reduce soil compaction and offer up available Nitrogen for your plants to use. While you can vermicompost your own worm castings, we offer it as a part of our Soil Building program customers throughout the year. Learn more about this organic plan that rebuilds your soil to grow a healthier lawn and garden here.